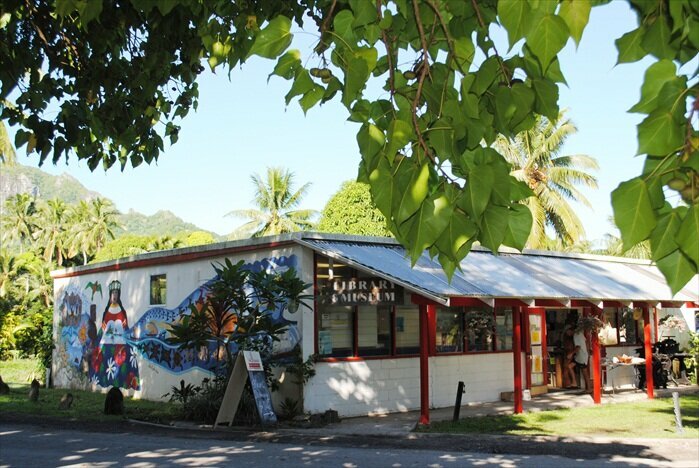 On Tuesday night, 17th September 2013, the Cook Islands Library & Museum Society Inc., held its AGM. A new council was elected. Biologist and well-known employee of the Natural Heritage Trust, Gerald McCormack, is the new President while motel manager & Voyaging Society member, Malcolm Laxton-Blinkhorn is Vice-President. Moana Moeka’a retains the Treasurer’s role and Luina Lynch remains Secretary. Management of the property remains with Jean Mason. A vote of thanks was recorded for retiring Patron, Marjorie Crocombe, and Gwen Welland was nominated new Patron of the Society. The semi-voluntary Society first gathered in April 1963 and was legally incorporated on 3 February 1964 and in December that year the late Makea Nui Teremoana Ariki opened the Library and Museum’s premises, which had been designed by the late architect, Ken Mills. A series of events are planned to celebrate the 50th anniversary of the Society next year. The Society believes it apt that Gwen Welland is the Society’s Patron as she was part of the committee which raised funds in the early 1960s to erect the building in Taputapuatea. The Society has spent upwards of $180,000 in building upgrades over the past 7 years, thanks primarily to the generous support of UNESCO, Mike Rennie Builders, lawyer Ross Holmes, Timberland, USP, John Mokotupu, the German Republic, the India Fund, CITC, Head of Mission Fund of NZODA, HSBC Bank and others.